I’ve been craving good novels that are based in the Middle East. I like to think that mine, Summer Blast, is one of those ;) and I’ve just finished reading Olives by Alexander McNabb which definitely fits into this category. 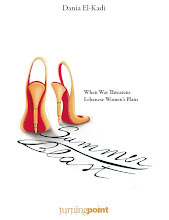 This thriller, or “violent romance” as the book cover puts it, is set in Jordan. Paul Stokes, a British journalist comes to Jordan on a corporate publishing contract for the Ministry of Natural Resources. He gets in trouble with the law as soon as he touches down in Amman by picking a drunken fight with a policeman, which lands him in a court case. But this is not the only of Paul’s challenges, the boring job he thought he’d signed up for, is spiced up by the attractive ministry employee, Aisha Dajani, who’s assigned to take care of him, helping him settle into Amman and get the work done. Add an unsavory spy-like character from the British embassy, a colorful Swedish neighbor, an annoying boss and the many skeletons that seem to populate Aisha’s closet and you have a recipe for a read that will have you turning the pages (or swiping them since the book is also available in e-format). Narrated in the first person, the tone is informal and the humor often British. The concept is clear: yes, the Middle East is not what westerners imagine, people are more “normal” and the women more modern than what most would expect. But the issues that we are all aware of remain at the heart of daily life: the Israeli-Palestinian conflict but also the less publicized yet equally - if not more - political issue of water shortage. 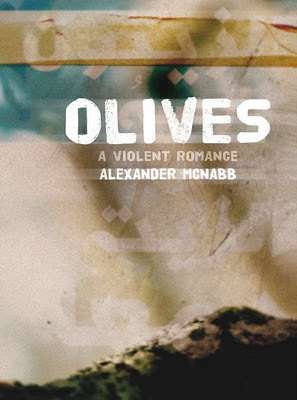 As Paul falls for Aisha, sacrificing his existing relationship in the process, he learns that she comes from a family who was displaced when Israel occupied Palestine, they are now Jordanian but all yearn for their homeland and the olive farm that they have managed to hold on to, but is at threat inside Israel. Aisha’s father was killed in an Israeli raid and her brother committed a suicide bombing in retaliation. Now Paul suspects she could be supporting more acts of violence. Poor Paul also finds himself in the middle of a high-stake bid for the privatization of water resources. The UK government wants him to spy on the ministry as well as Aisha’s older brother, favorite to win against the British proposal. Throughout the book, Paul evolves from average expat to unwilling spy and potential pawn for Palestinian activists. As he becomes more deeply informed about conflicts of the Middle East, so does the reader, but in a seamless way, which is one of my favorite aspects of the book. The story is largely based in Amman, with several trips to other parts of Jordan and references to countries in the region. Of course, what Paul experiences as an expat in affluent West Amman is not representative of the entire Kingdom, but it felt genuine to me, having visited Jordan on business many times, often with British colleagues. McNabb doesn't overbear us with details or fall into the cliché of trying to make a country “exotic”. I really enjoyed Olives. It’s a fast moving thriller, set in a region that a lot has been written about, but in a fresh perspective and without patronizing, judgment or stereotyping. Get it in bookstores in the Middle East, or on Kindle, iBooks or other e-book formats. "As Paul falls for Aisha, sacrificing his existing relationship in the process"... isn't it just convenient how people call it Falling in love with Aisha when Aisha is your friend.. and cheating on His Girlfriend When Aisha isn't. Nooooo, he only does the deed AFTER GF1 walks out.